Stu "The cities covered were great and so was the tour length. The size of the group (6 plus the guide) was a really good size. We used local guides a couple of times - the woman (Susie) in Split was fabulous. Peter was a really good tour guide and I wouldn't hesitate to travel with him again on a more intrepid tour. However for Croatia it would have been nice to have a Croatian tour guide who knew..."
Walk the streets of "King's Landing"
Start in Dubrovnik and end in Split! 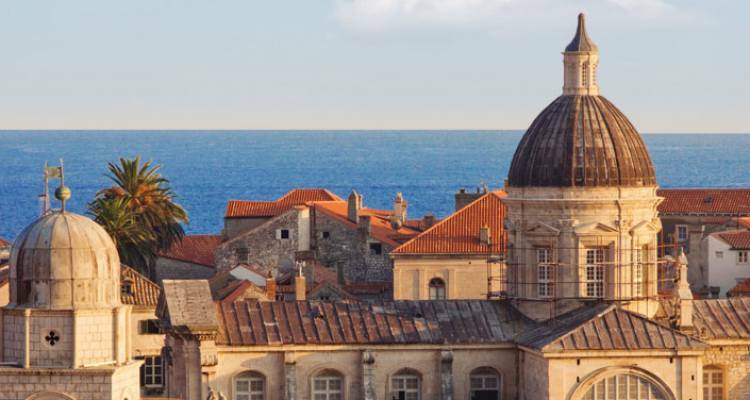 With the in-depth cultural tour Explore Croatia, you have a 8 day tour package taking you from Dubrovnik to Split and through Dubrovnik, Croatia and 3 other destinations in Croatia. Explore Croatia is a small group tour that includes accommodation in a hotel and hostel as well as an expert guide, meals, transport and more. Excellent tour that allowed us to begin to experience and appreciate the culture and natural beauty of Croatia. Our tour leader was fantastic and our small group of 7 got along very well. Where and when does the tour end? The tour ends in Split on Day 8 of the trip. There are no activities planned for the final day, so after check out you are free to depart, or spend the day ticking off some of the suggested optional excursions! There are no activities planned for this day so you are free to explore the city and settle into the hotel. At 6pm there will be an important welcome meeting where you can get to know your guide and fellow travellers. We can pre-book your departure and arrival transfers, however this is not included in the tour price and will be an extra charge. Please contact our customer service team for more information once you have a confirmed booking. Alternately you can catch the airport bus to the final stop at Pile Gate, then catch the city bus 1a, 1b or 1c directly to Hostel Sol. There are also taxis available just outside of the airport. TourRadar only requires a deposit of $99 to confirm this Intrepid Travel booking. The remaining balance is then payable 60 days prior to the departure date. For any tour departing before 20 June 2019 the full payment of $1,225 is necessary. No additional cancellation fees! You can cancel the tour up to 60 days prior to the departure date and you will not need to pay the full amount of $1225 for Explore Croatia, but the deposit of $99 is non-refundable. Covering a total distance of approx 178 km.